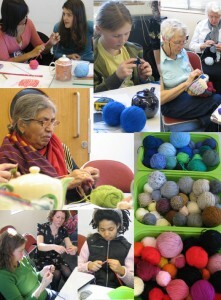 In March I ran a series of community knitting workshops with The Old Sweet Shop gallery, funded by Arts About Wandsworth. 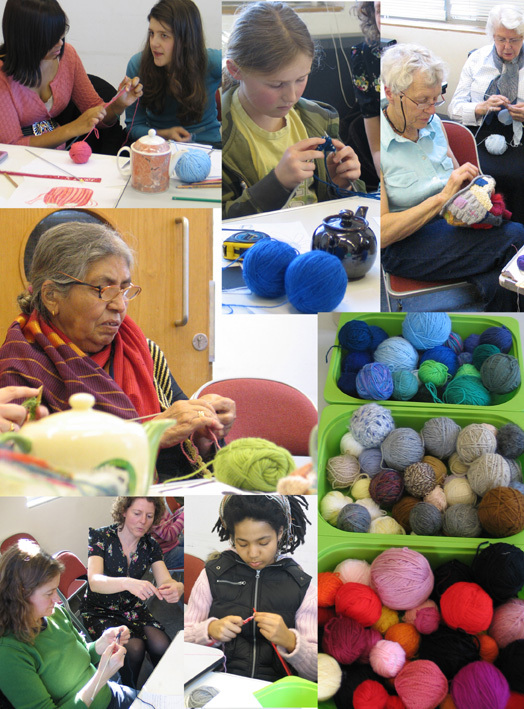 We had about 23 people taking part aged from 8 upwards, all designing and making tea cosies for an exhibition that ran at the gallery from 27th March to 5th April. See www.theoldsweetshopweb.com for lots more pics. I made an ice cream tea cosy for my ‘Beryl’ teapot, and we also had a cemetery, a cauliflower, a crown, a seascape, a bomb and many other wild creations. 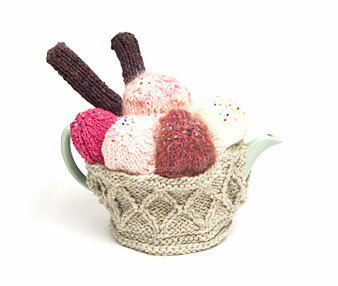 This entry was posted in Workshops and tagged community workshops, knitting, tea cosies, The Old Sweet Shop on April 21, 2008 by Jane Porter. Wow! this project looks brilliant I would like to know more about you contact me. I agree. Were any vegetable themed teacosies produced? Indeed there were…notably a rather spectacular cauliflower.